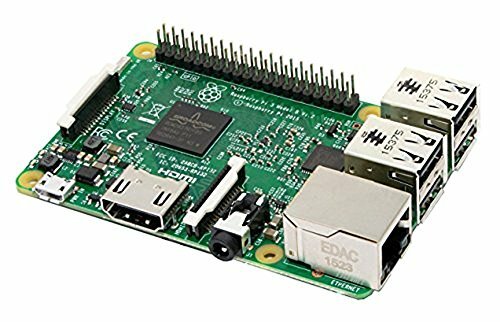 Raspberry pi 3 Model B is the third generation Raspberry pi. This powerful credit -card sized single board computer can be used for many applications and supersedes the original Raspberry pi Model B+ and Raspberry pi 2 Model B.
Whilst maintaining the popular board format,the Raspberry pi 3 Model B brings you a more powerful processor,10X faster than the first generatio Raspberry pi. Additionally it adds wireless LAN and Bluetooth connectivity making it the ideal solution for powerful connected designs. Raspberry pi 3 model b adds wireless LAN and Bluetooth connectivity making it the ideal solution for powerful connected designs. If you have any questions about this product by Raspberry Pi, contact us by completing and submitting the form below. If you are looking for a specif part number, please include it with your message.